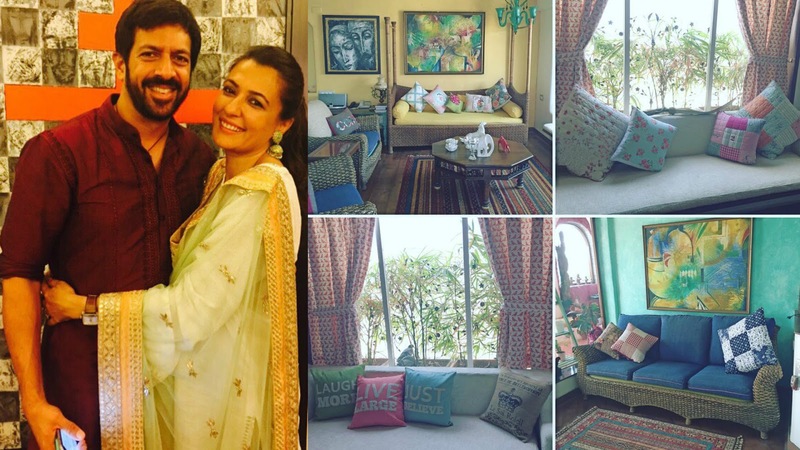 Bollywood director Kabir Khan and his wife Television (TV) host Mini Mathur believe beauty lies in the details. They find joy in the small things. A begonia plant. A blue window. Wine on the terrace. Old world home interiors that feature warm textures, colours that mimic nature, terracotta tiles, an overgrown foliage – these are the trademarks of the cosy, yet eclectic Mediterranean aesthetic. And this is what Bollywood director Kabir Khan and his Television (TV) host wife Mini Mathur seem to have imbibed in their rustic yet casual Mumbai home. The couple has curated a collection of treasures in their terrace flat that tell stories of the places they’ve travelled to. “I am a treasure hunter, the search is as important as the piece. Everything has a story and the story is my inspiration,” smiles Mini Mathur. Their home is really cosy, beautiful and elegant! Such a nice taste in interiors, yet very accommodating, just like the ones I use to write on my reaction paper writer during college days. Looks like from a Disney movie Aladdin. I love to share at flashpointsocialmedia.com my reviews on different things I see on the Internet. I'd love to write something about this fabulous apartment.